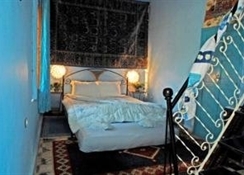 The riad is a calm and charming guesthouse with 5 bedrooms and 3 suites with a freshwater swimming pool. It is nestled in the heart of a 19-hectare farm surrounded by orange, olive and banana trees. The guesthouse is air-conditioned and welcomes guests in a lobby with currency exchange facilities, a TV lounge, children's playground, a cafÃ© and a restaurant. Guests can relax on the sunbathing terrace and the patio or refresh themselves in the swimming pool. 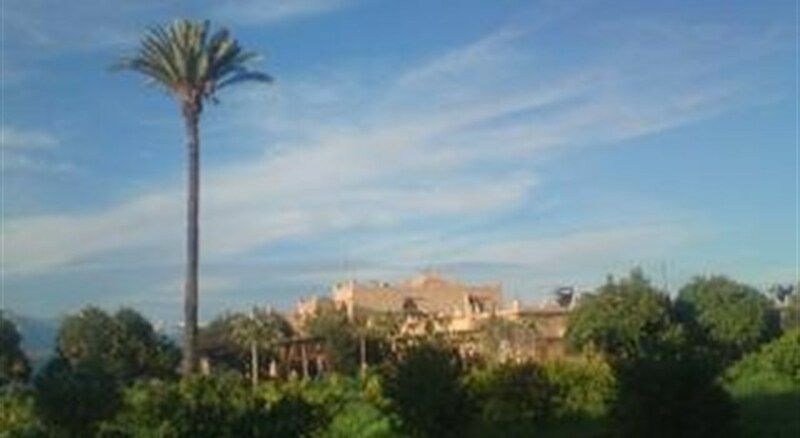 They can also ask to visit the farm surrounding the riad or take cooking lessons (for a fee). Bicycles are also at guests' disposal for free. Guests can take advantage of the hotel's room service (fees apply) and those arriving by car may park their vehicles in the hotel's car park. 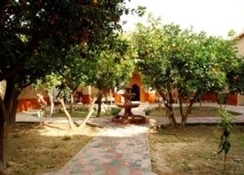 LocationThis riad is located 4 km from Taroudant in the direction of Agadir Amskroud. 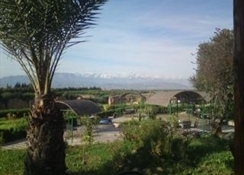 There is a connection to the public transport network, restaurants and shopping facilities in Taroudant. Agadir Almassira Airport is approximately 60 km from the guesthouse. RoomsThe bedrooms of the riad are quiet and traditionally decorated. They are furnished with double or king-size beds and equipped with a terrace, an en suite bathroom with WC and a shower, satellite TV, a mini fridge, individually regulated air conditioning and heating. An in-room safe is also provided. SportGuests can take a dip in the hotel's outdoor swimming pool and refreshments are available at the poolside snack bar. Sun loungers are laid out on the sun terrace. MealsThe riad offers refined Moroccan cuisine, accompanied by homemade bread, and varies each day depending on the season, the markets and the guests' cravings. NotesNo alcoholic drinks are served.